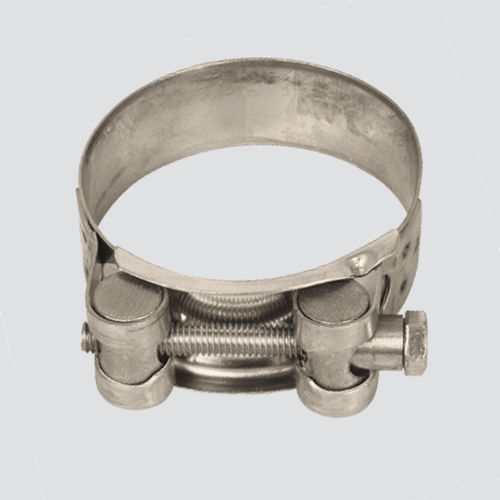 This corrosion resistant T-bolt clamp has a 300 series stainless steel band and bolt. Its nylon insert nut can be easily tightened with a 7/16" socket wrench. This clamp is rated to a maximum 50 inch pounds applied torque.